Nokia is obviously still not sure what to do with its Health department, since their commercials are poping put from everywhere, and they are more active about the promotion of their products than ever before. Maybe they already know the destiny of Health department and just want to keep the sales up since one of the plans for this department is to continue making Nokia branded gadgets but under new owner. 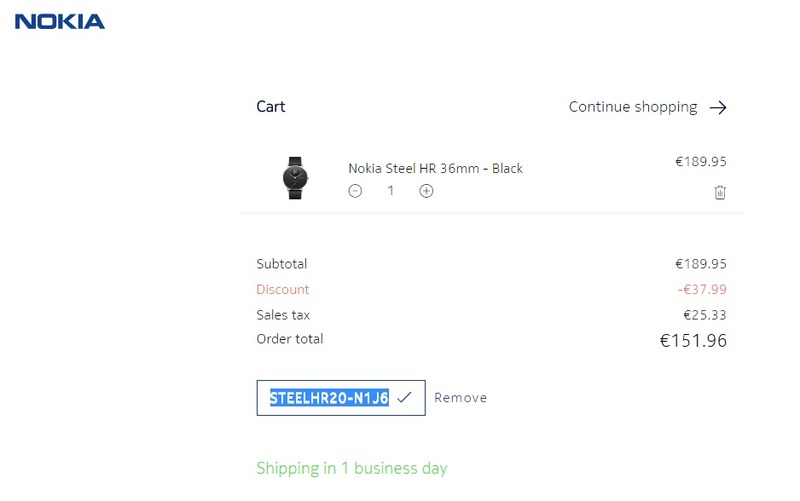 The above stated maybe isn’t true, but new discounted prices of Nokia Steel HR and Nokia Steel watches are. The price of beautiful Steel HR just went 20% down, and if you want this watch you can get it for €151.96. To get the discount on a Steel HR for a limited time you need to enter the following code at checkout: STEELHR20-N1J6. This offer applies to all the Steel HR models. I should also mention that the watch is stocked and will be shipped within one day to your address. 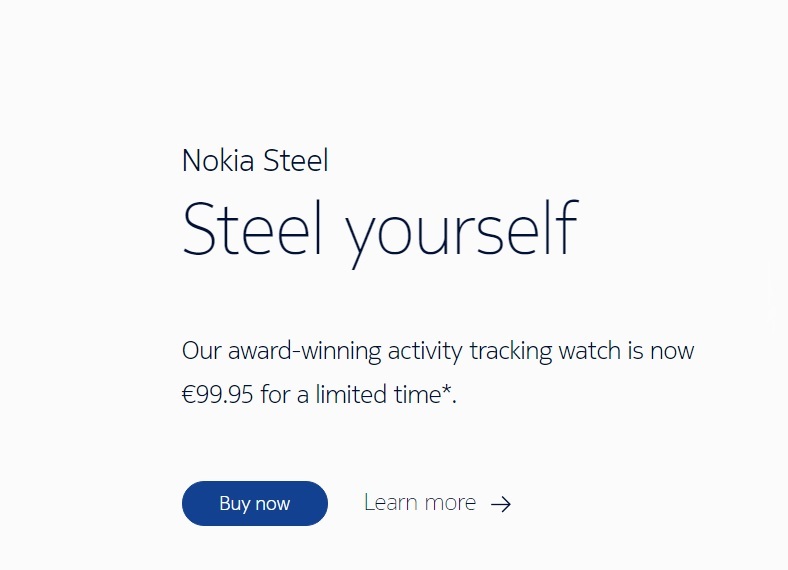 The price of the gorgeous Nokia Steel watch is now €99.95, for a limited time also. 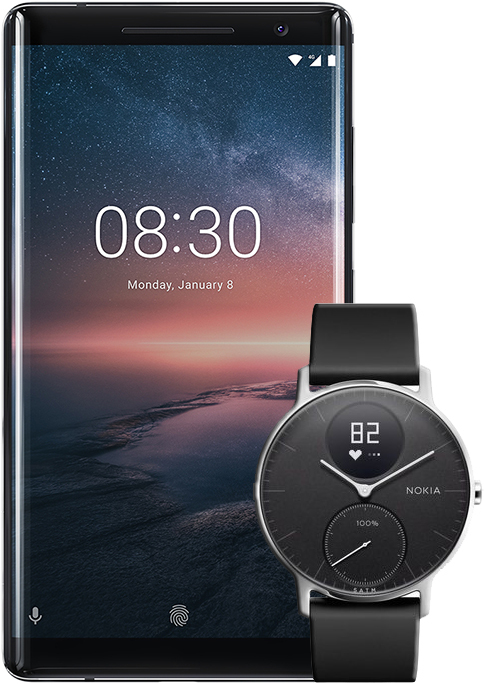 You don’t need to enter any coupon to get the discounted price for this one is marketed directly on the Nokia Health pages. Steel is also in stock and can be shipped to your address in one business day. Nokia is really trying to push these watches and only thought coming to my mind is that it should have done it a year ago. Maybe then there wouldn’t be any need for Nokia officials to push another burning memo mail. Since Nokia likes “clever deals” and cares about its brand a lot, the first few sentences could easily turn out to be true.